Well, I did it. I went on my first official missions trip. Laugh if you must, but it’s true. I live on the mission field. I’ve hosted countless mission teams. But I’ve never been part of team myself. Until now. I enjoy hosting people very much – particularly because I love that they are coming to Niger and leaving with a part of Niger in their hearts, and leaving a part of their hearts in Niger. I like helping to facilitate that process. But I must say, I also very much enjoyed being ‘hosted’. Showing up to a place to stay, wonderful meals prepared and ministry all set up for us to step into. In other words, the only thing I had to plan was what to put in my suitcase. Well of course there’s ministry preparation, but that’s a different category of preparation. Ministry prep done, house organized and details regarding Tobi and his stay with Grandma and Grandpa were more or less done by Tuesday. Mostly. Wednesday was packing day. Packing takes a good portion of my brain cells, and I’m pretty sure it kills a few in the process. Packing is one of my least favorite things to do. Probably because I’m no good at it. Which is odd, considering how often I do it. But every time I put that open suitcase on my bed I stare at it like it’s the first time I’ve seen a suitcase before and have no idea where to begin. What makes it all the more annoying infuriating is that Neal throws his bag up on the bed and within 30 minutes – 45 tops – he’s ready to go. So sparing all the gory details, I finally got packed. Just in time to leave for the airport at 5am Thursday morning. No – just kidding. We actually had a pretty relaxing evening and a decent night sleep. Tobi moved to Grandma and Grandpa’s that night before so he didn’t have to get up at 4:30. Grandpa took us to the airport – yep, at 5am. What a guy! There was movement behind the closed door and lights started turning on. 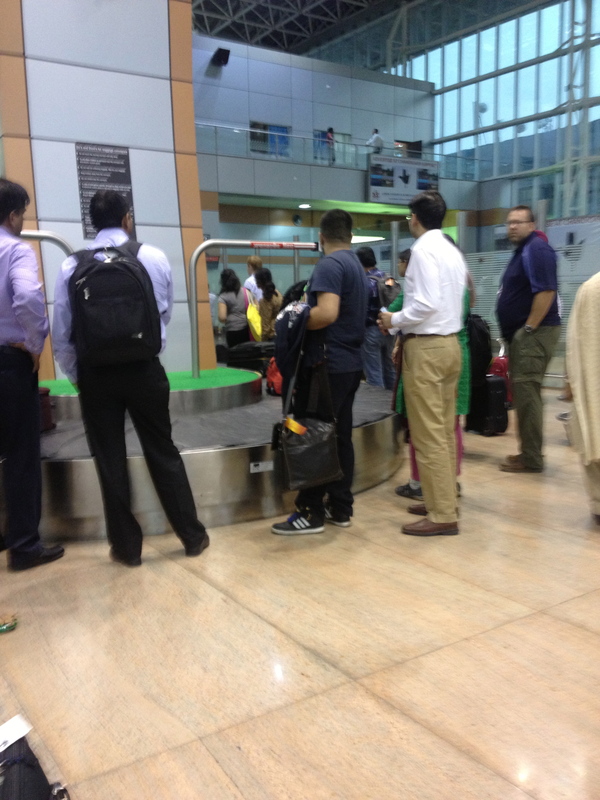 Other travelers were arriving and had the nerve to walk to the front of the line — in front of where our bags had been sitting for the better part of an hour! I seriously wanted to express to them that we had been sitting there for some time now and who did they think they were to march right to the front of the line without even passing Go? Someone should acknowledge that we followed Asky’s rules, even if we were alone. And I should add that we have known this airline to take off an hour or more before scheduled flight time, without telling the passengers…so better wait than sorry. We got through check-in with no problems, making sure that even though we had several stops, our bags were checked through to Delhi. We made our way through immigration, said goodbye to the police and went to the ‘gate’ to wait some more. 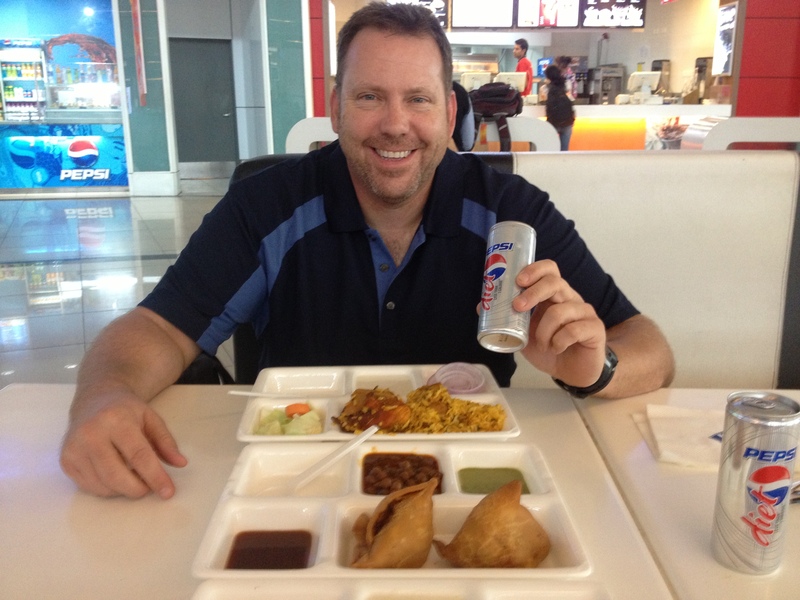 I pulled out the homemade breakfast burritos and we enjoyed those while waiting to board the plane. 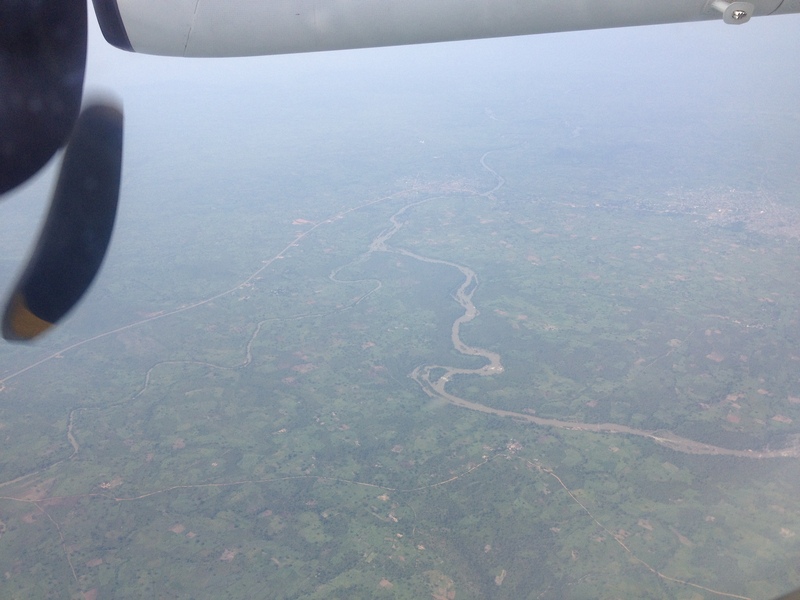 We took off more or less on time, and here we are somewhere over Niger. 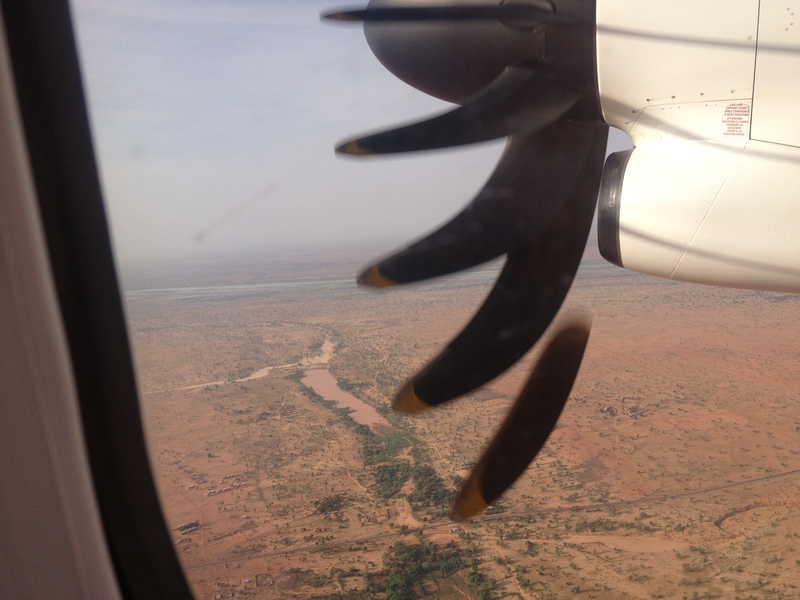 We were obviously not on a large plane – check out the propeller. 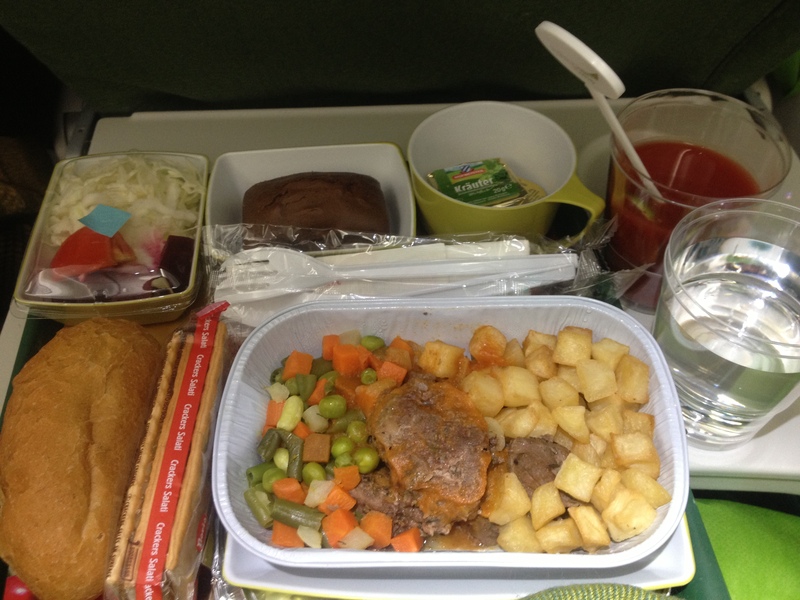 We were fed an overload of carbohydrates for breakfast, on our way to Abuja, Nigeria. 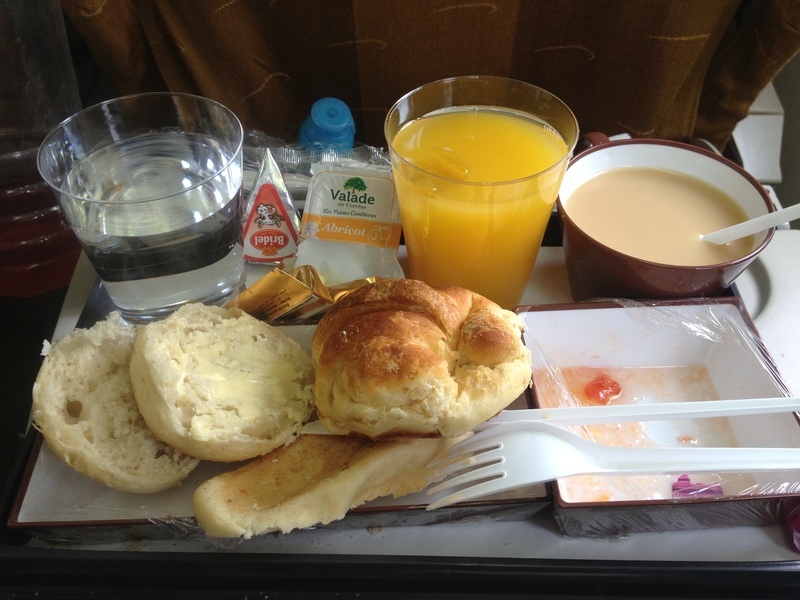 The orange juice, tea and fruit were lovely. 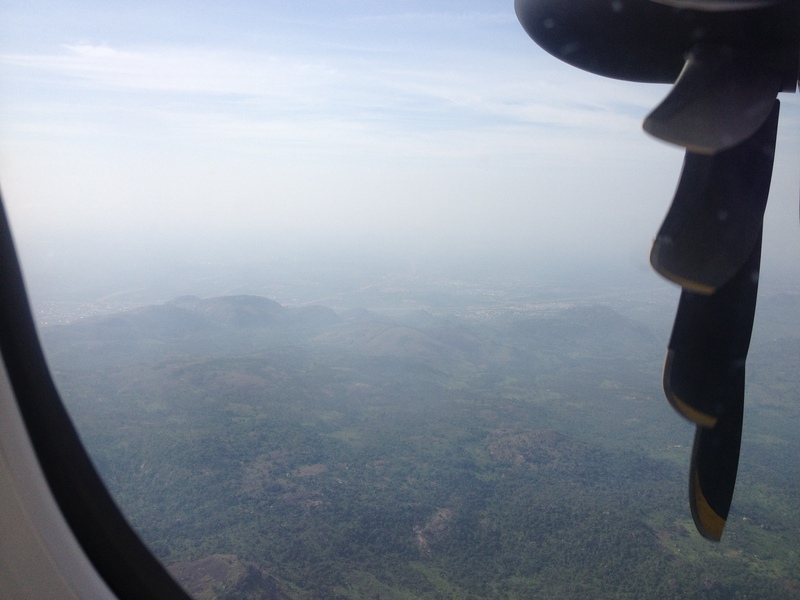 We landed first in Abuja, but didn’t have to leave the plane – it was kind of like a bus stop. 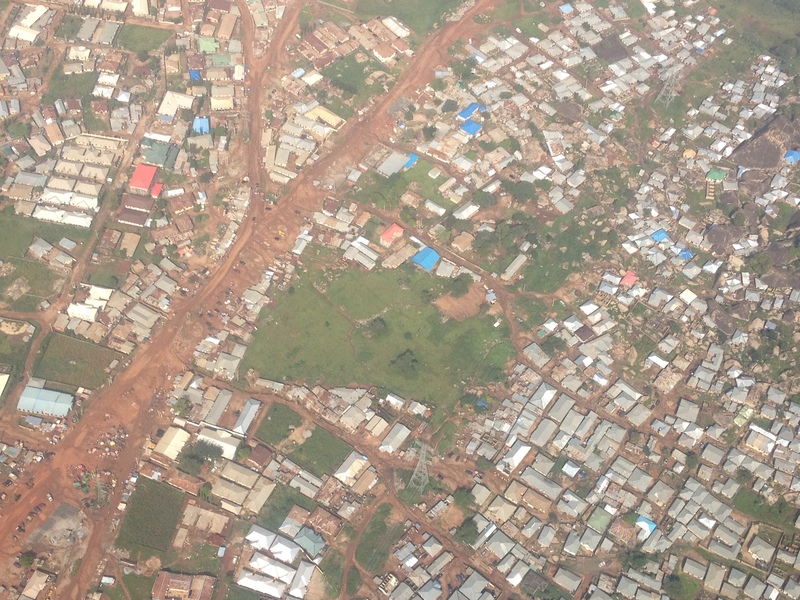 Here we are descending in Nigeria – though it’s our neighbor, what a contrast! I honestly don’t remember the time on the ground so it must not have been very long. Next stop was Lome, Togo. There we would change planes to a ‘real’ airplane for the journey from the west of Africa all the way to the east. Here we are on the plane to Lome. 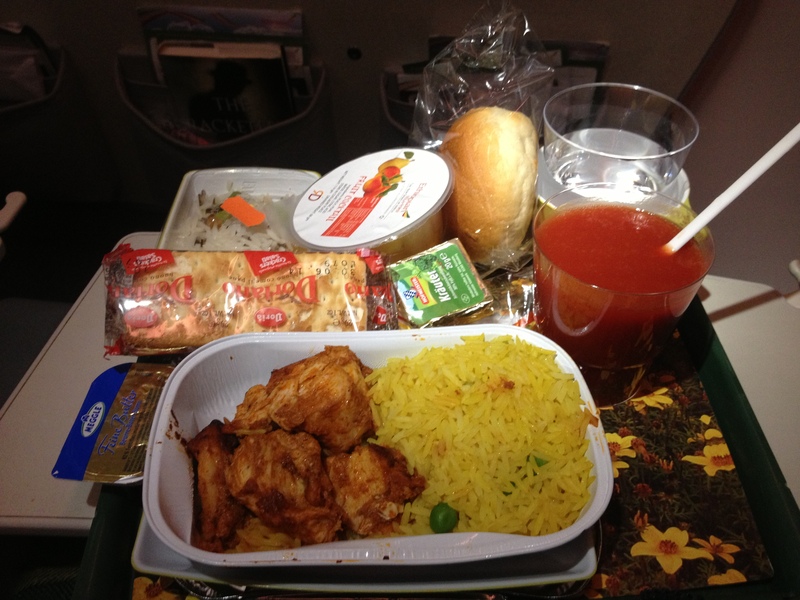 The airplane food was endless with so many flights, and I was dreaming about my breakfast burritos…I do however always enjoy drinking tomato juice when I fly. And they even served it with fresh lemon. 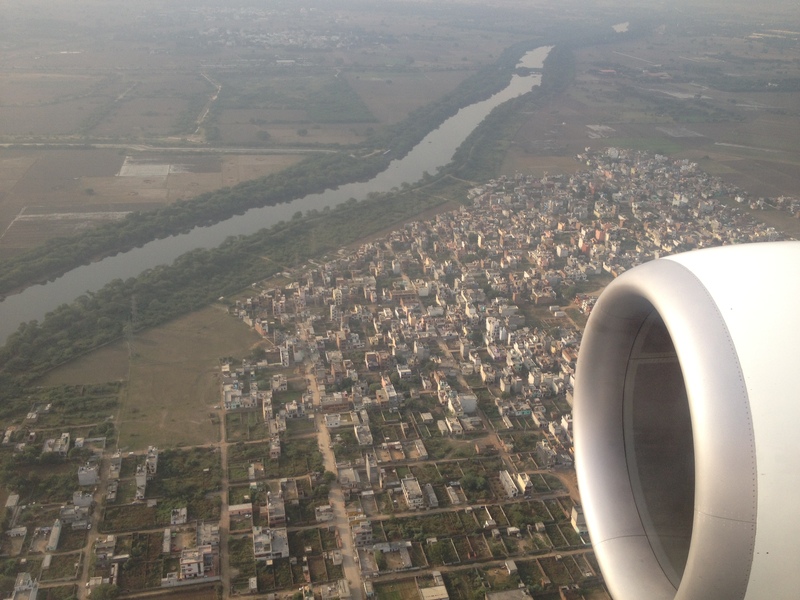 Landing in Lome, Togo. That’s our shadow! By the time we got our boarding passes and seats we didn’t have long to wait before boarding. 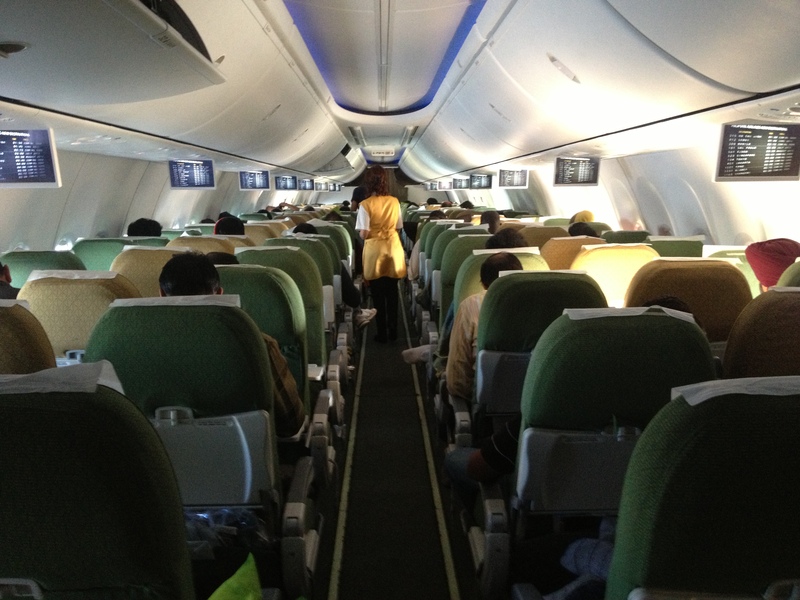 And before we knew it – we were landing in Addis. 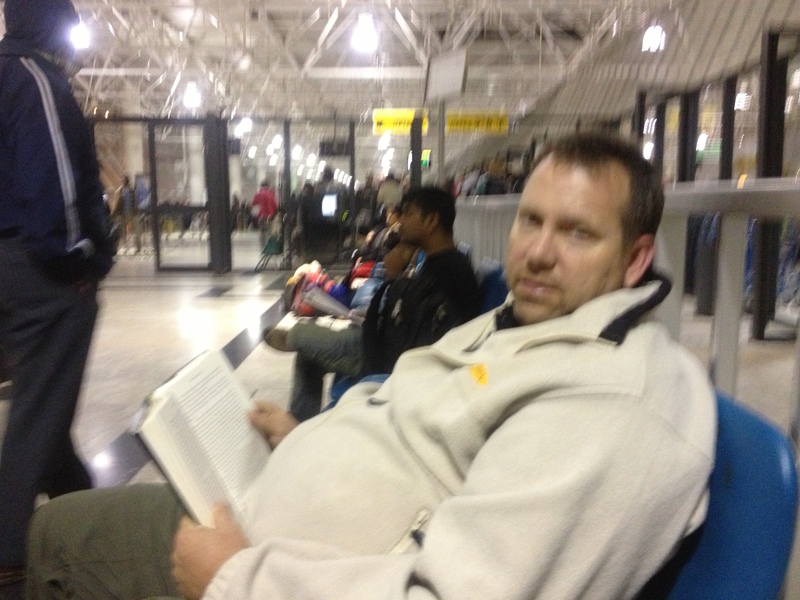 We had several hours in the Addis Airport so we cruised around some shops for a bit, but that’s cumbersome with carry-ons and computer bags. So we found a restaurant to kill time in because once we went through security, there was no food or drink allowed, and no ‘facilities’. While sitting there, we noticed there was pizza on the menu. 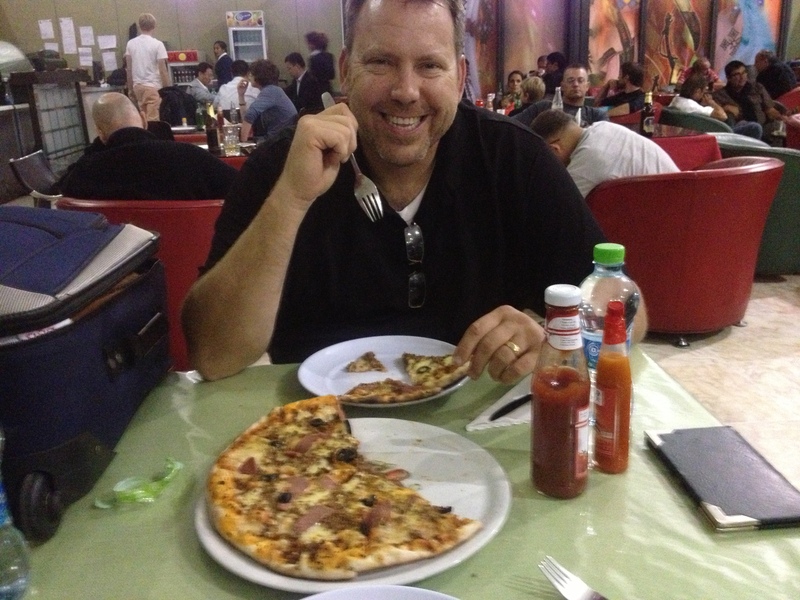 We remembered how we enjoyed the pizza when we spent 3 days in Addis back in March, so we figured we should get some, you know, for old times sake. It was worth it. And here’s Neal, looking all bright eyed and bushy tailed, in spite of an already long day. And I have no idea what time of day this really is. What I do remember is that it was cold. Check out Neal’s winter ware! I was seriously cold. Cold enough that it didn’t matter how dorky I looked. These are my travel socks. I always keep them in my purse when I travel be it by road, air or sea. And they came in handy. Everything blurs together, but I do remember the walk to the plane was a long one. Several ramps. 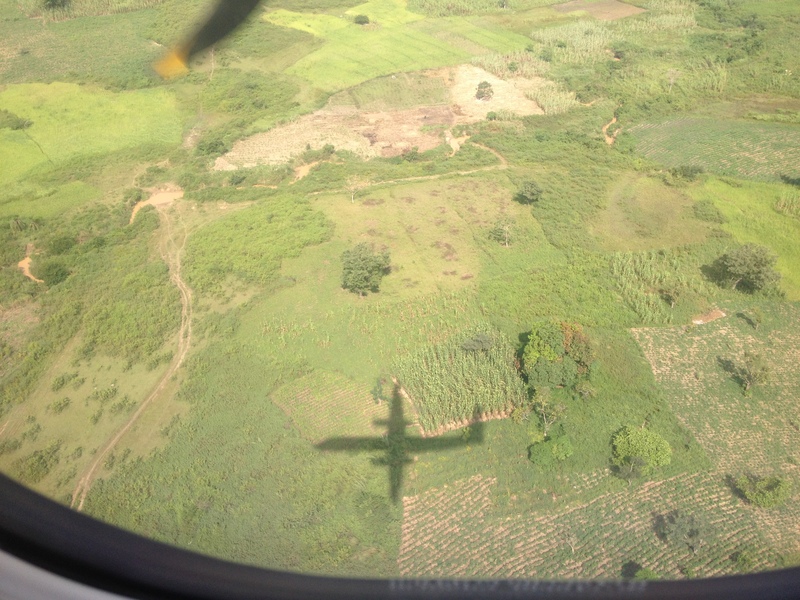 And the plane – it was huge! Called a Dreamliner I think. And we got exit row bulkhead!! That is also huge. And no one else was sitting in the 3rd seat in our group of 3. We were counting our blessings. This was the longest of the 5 flights. 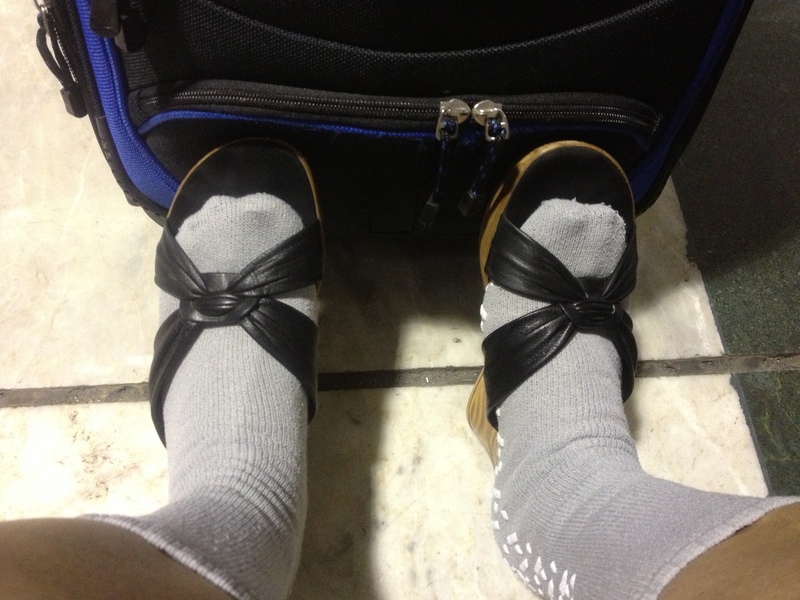 And yes I actually walked to the plane looking like this. And again, more food. We usually accepted it, but then didn’t really eat it. I think this is chicken. Enjoyed my tomato juice though! I think we got some sleep on this flight. 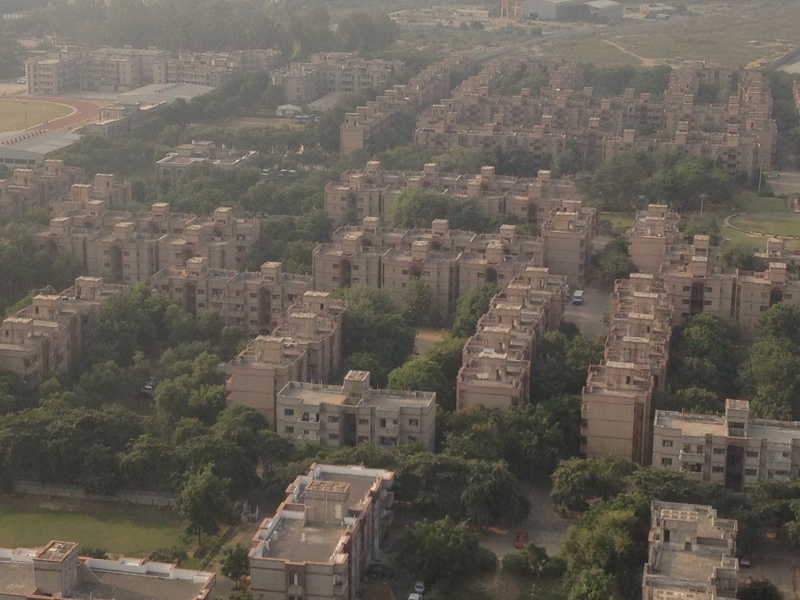 Getting ready to land in Delhi. Immigration / Customs was a breeze and the officials were very friendly, welcoming us to their country and seemed sincerely happy that we were there. It was a nice welcome and helped to revive me a bit. I found myself smiling. 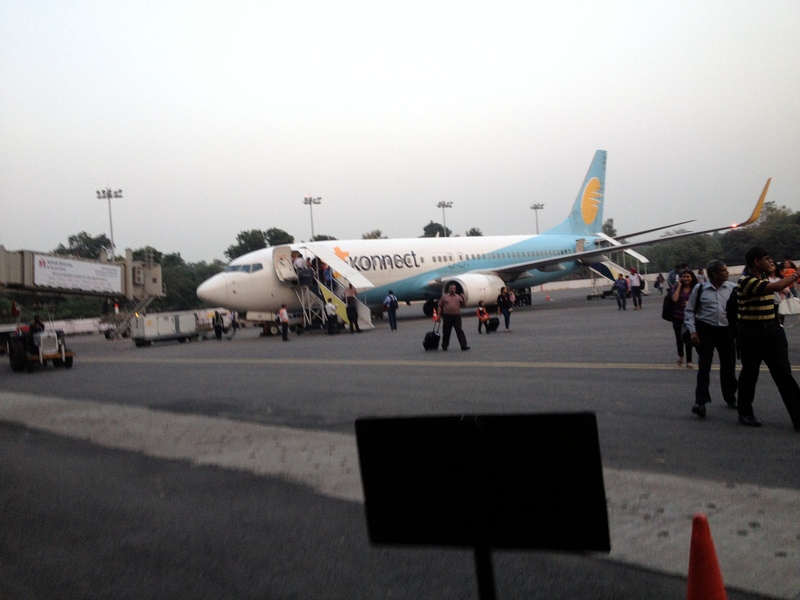 The journey had been pretty long to this point, and we still had an 8 hour wait until our next flight to Chandigarh. Knowing what we know now, we probably would have just found a taxi and made the 5 hour road trip. Things at this point were a bit confusing…We were feeling so excited to actually be in this country, but we didn’t know where to go. We had to figure out how to leave the international section and get to the domestic section. The airport was pretty secure, with guards/police at all the entrances. 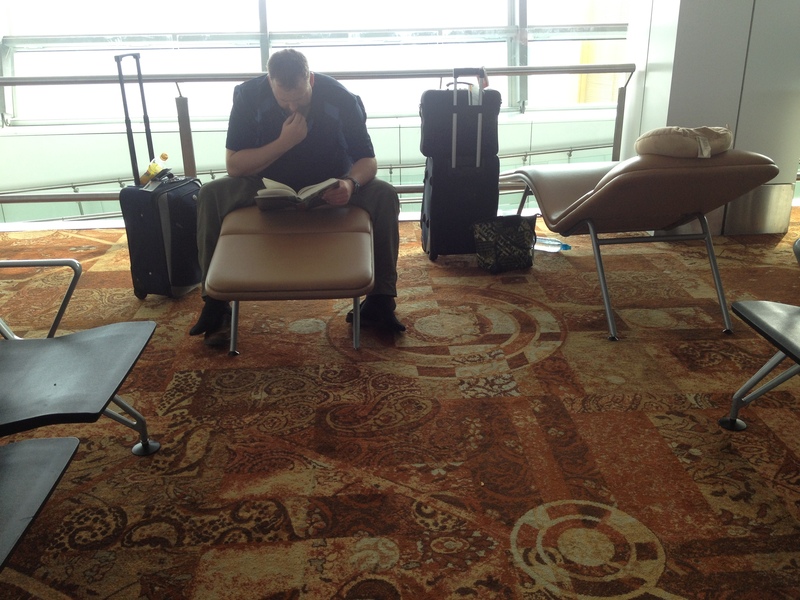 We were hoping to be able to check our bags right away, so we didn’t have to sit with all our stuff for 8 hours. We inquired and were told we had to go to such and such counter. That counter was through a door that was being guarded. The only hard copy evidence of our upcoming flight was a printout of all of our flights, and it didn’t have our names on it. Without proper documentation, we weren’t getting in. Babu shigowa – no entry. We were told to go to such and such counter and get a print out of our ticket. We explained that we had already tried such and such, but they wouldn’t let us in. Because we didn’t have the right printout. We finally found a way in, waited in line and were then told we had to pay 10 rupees for the printout. We didn’t have 10 rupees. We had plenty of dollars, but no rupees. And to go change our dollars required us to go beyond the doors that we weren’t allowed because we didn’t have the printout. Get the picture? It was all quite confusing. And probably even more so since little sleep had been had in the previous 30 or so hours. The counter lady had mercy on us and gave us the printout for no dollars or rupees. Printout in hand, we headed to domestic flights to hopefully check in. When we got to such and such counter, they looked at the printout and smiled at us like we were overly excited about our flight and explained that this flight wasn’t until much later in the day. I think it was just after 8am. We smiled back and said we knew that, but we just arrived and were hoping to check our bags. Counter lady explained that there was an 11am flight to Chandigarh (ours was at 5pm) and she was concerned that they would be put on that flight so wisely advised us to wait until after that flight left. She also explained that we were only allowed 15 kilos each. 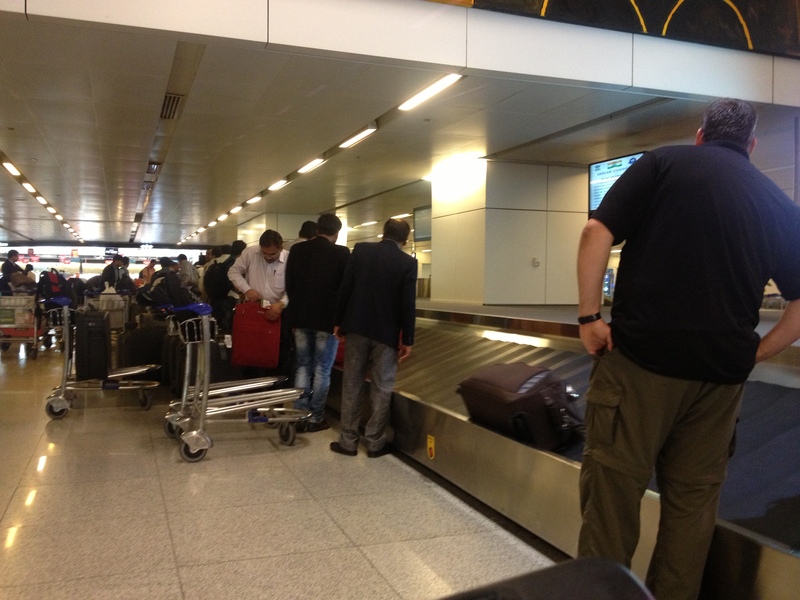 We had more than that— forgot that international and domestic baggage allowances are not the same. Waiting until after 11 gave us time to shuffle some things around in our bags, and add some heavier stuff to our carry-ons. So in the end we only ended up paying about $20 for our excess bags. They were quite gracious about it. Could have (should have) been much higher. Finally freed of our bags we could now wander around the terminal. We found the food court! KFC, McDonalds etc. But none of that for us. And keep in mind that beef is not eaten – so don’t be expecting two all beef patties. (But I think it’s debatable that McDonalds in beef-eating countries can claim ‘all beef’ patties either) We went straight for the Indian food. And it was quite tasty. Chicken biriyani, samosas, daal and some really tasty sauces. Hit the spot! Now to go and find a place to clean up and wait for our last flight. 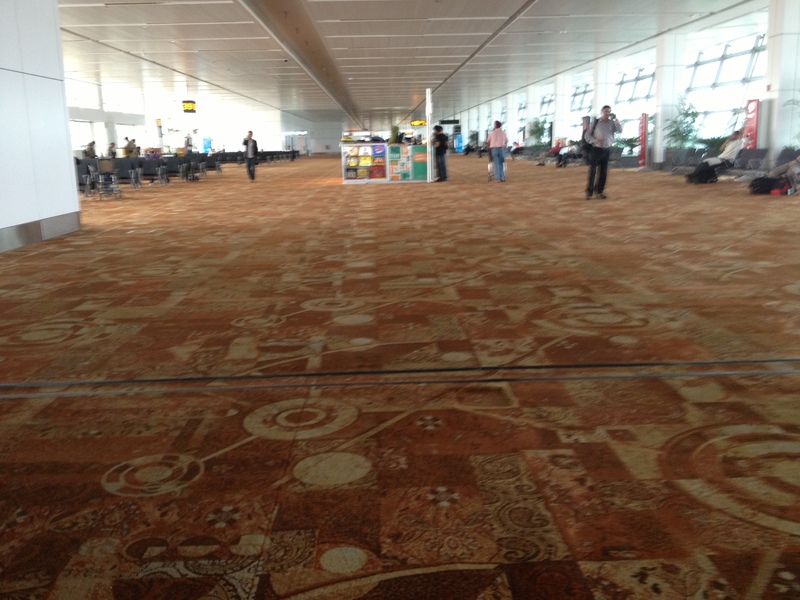 It was a pretty big terminal, and surprisingly sparse. Pretty nice place to wait. I dozed, Neal read. But first, we took turns in the bathroom. In Niger, the bathrooms in nicer homes or hotels all have boudets (it’s a French word that I have no idea how to spell)…kind of a cross between and sink and a toilet. I’ve never used them – because to be honest, I don’t really know how. Well the toilets I’ve seen here so far all have a spray hose/drain. Again, something I probably wouldn’t use under normal circumstances. But we haven’t had a shower in awhile, and that sprayer complete with water (it worked, I checked), looked like it had great potential. Armed with my baby wipes and a hand towel, I took a mini-shower in the bathroom. Washed my feet in the toilet. No – not IN the toilet. I held my feet over the toilet, soaped them up with my travel shampoo and sprayed them off. Nothing like clean feet! I brushed my teeth and washed my face (no, not in the toilet!) and emerged feeling semi-clean and ready to complete our journey. Our 8 hour wait was finally up and we boarded the plane for our less than 1 hour flight. 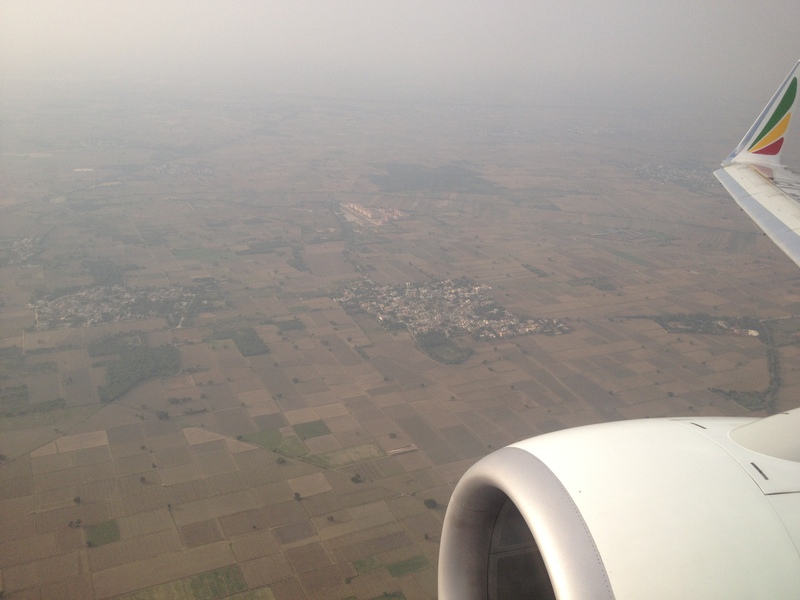 Here we are landing in Chandigarh, India. I know I’m not supposed to take pictures at airports with security around etc, but I got this one on my phone while I was walking away from he plane. Managed to actually get a picture of our plane. Interesting that our journey started and ended with a plane this size. It felt so good to be on the ground. Our bags came last, but they came! We were being picked up by our host, Pastor James Chacko, whom we had only met via email/Facebook. He was standing right outside the airport and graciously welcomed us and made us feel right at home. Which is how we felt when we made the drive from the airport to his home. 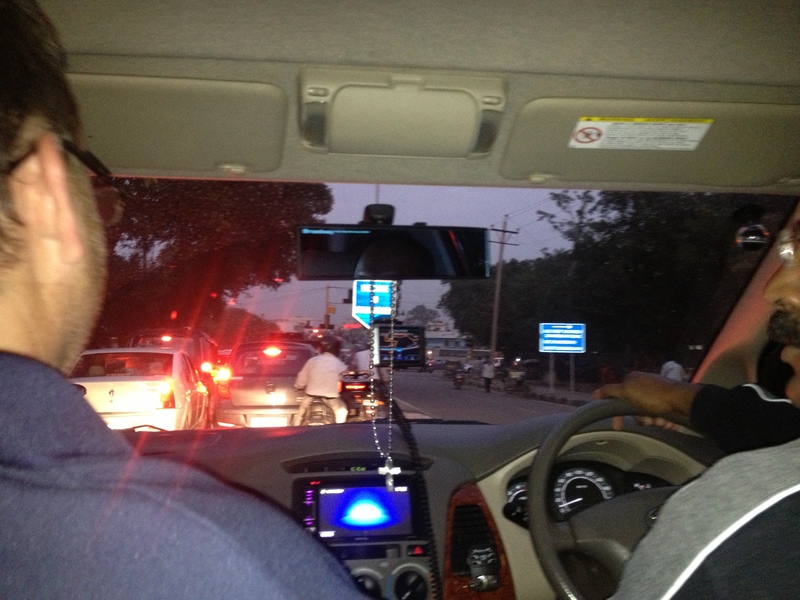 Driving in India may have the reputation of being crazy, but it really did make us feel at home. If you’ve been to Niger, you know what I’m talking about. It was Friday evening and we arrived at Pastor James and Usha’s beautiful apartment and were shown our room and got settled. We enjoyed some Chai tea and got to know each other, and then Usha cooked for us. Yep. More food. But this was by the far the best we had eaten, and it was only the beginning! I’ve been wanting to write about this journey since arriving back in Niger almost 2 weeks ago, but today is literally the first day the internet has been good enough to do so. Blogging with bad internet is quite tedious, but I’m determined to record the details of this amazing journey we had the privilege of making. For now, I need to go make some Chai. This was GREAT! Again, your descriptions are most vivid…felt like we were there. And I LOVE the socks!!!! 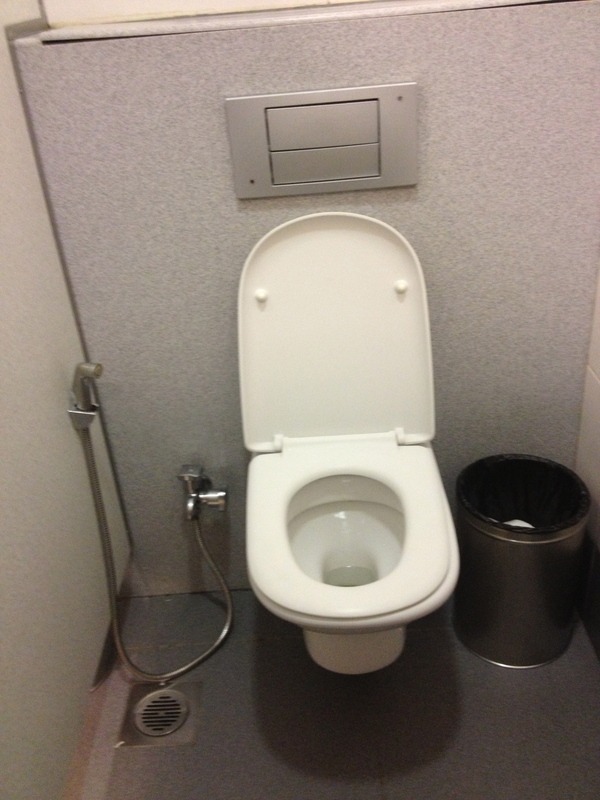 And I laughed out loud reading about your bath in the toilet….happy you explained that one really well!!! Lol. Loved it and love y’all!